Looks like my hair is on a roll these two weeks. First a hair consultation and now a hair makeover. Anyway, some of you may remember how I’d griped about my challenge to find a suitable hairstylist at the end of October. Well, I went for a haircut a week after writing that post but I was still not satisfied with how it had turned out. Don’t mind me but I’ve been super fussy when it comes to my hair since I was a teen. So just as I was contemplating if I should swallow my pride and return to my old hairstylist, I received an invitation to have a hair makeover at Backstage Hair Salon. After some humming and hawing at my end, I finally headed down on Sunday with a friend. But I’ll admit I was hesitant. With a name like Backstage, who is to say my hair won’t turn up looking all wayang? Wayang, for my international readers, is the Singlish equivalent of theatrical. 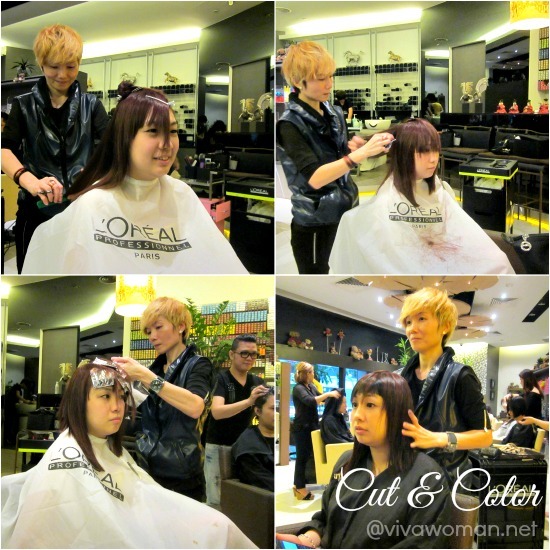 Because I used to go to Orchard for my haircut and so I like that Backstage Hair Salon is located conveniently at Winsland House 1, which is near Somerset MRT. 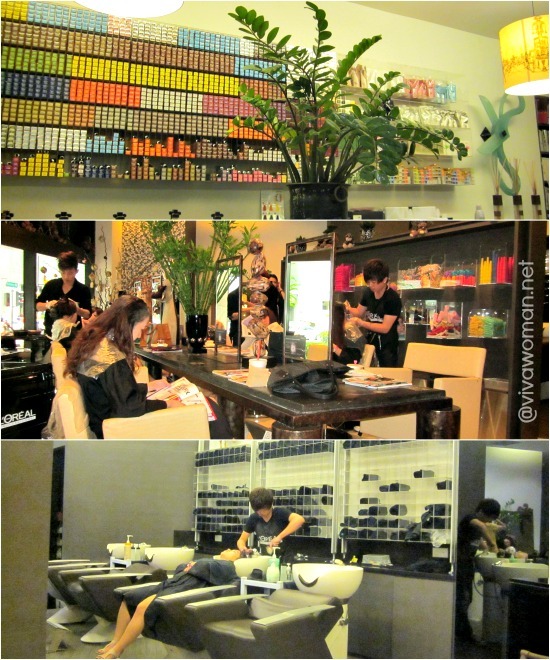 I was expecting an elaborate setup and the salon is not too far from my expectation. It’s pretty spacious with luxurious interiors that come with a fusion of Eastern and Western influences. 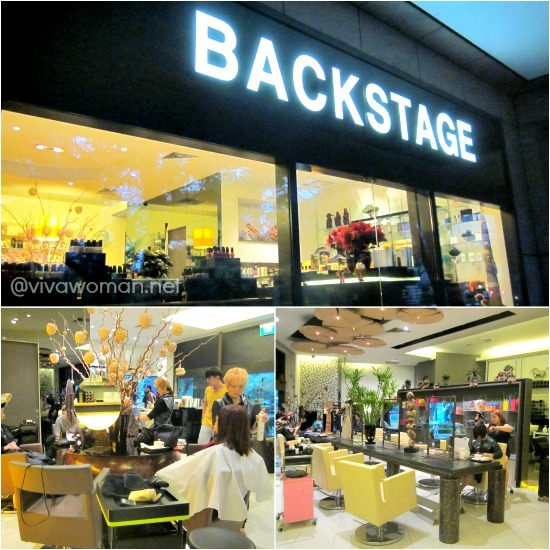 Besides the full suite of hair services availableâ€”haircuts, wash and blow styling, perming, straightening and colouring, hair & scalp treatmentsâ€”Backstage also offers make-up services, manicures, pedicures, and massages. 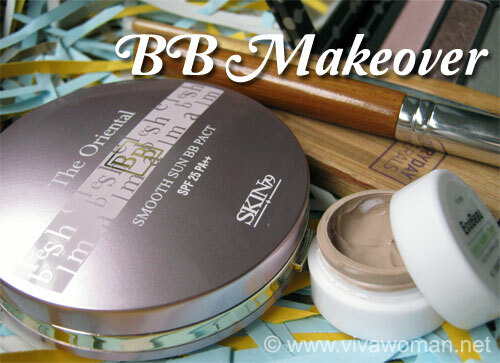 I was introduced to Judy Koh, Founder and Creative Director at Backstage. I don’t follow the local hairstyling scene but found Judy looking extremely familiar and it’s no wonder because she’s a veteran in the industry, having set up the salon in 1991. I was told she had appeared in some advertisements too. Anyhow, part of the reason I had hummed and hawed when invited to the salon was that I have always been uncomfortable to have my hair cut by a woman. Over the years, I’d found that male hairstylists do a better job for me. Well, Judy proved me wrong. First, I was impressed that she could pinpoint the problem with my current hairstyle without me saying too much. Second, she knew what style would work for me just looking at my hair and asking me some basic questions. Next, she designed a hairstyle that worked with my home care regime and finally, she was real swift and my haircut was done in 10 minutes! In fact, Judy was so impressive that my friend who accompanied me decided to have her hair done too. However, she went with a Creative Stylist instead and Raye did her hair. Actually my friend had just had her hair rebonded, colored and cut recently. She also didn’t want her hair cut too short. So in that sense, Raye’s hands were tied. But she gave her an asymmetrical cut, short inside bangs and some highlights. The end result was something edgier and unusual. More importantly, my friend was very pleased with how her hair turned up. If you’ve seen my earlier hairstyle (see previous post), you would agree I look different. Before going down to Backstage, I already had in mind what kind of a hairstyle I wanted. I even showed a picture to my friend who was with me and Daen from the PR agency. However, I did not articulate this to Judy. Yet, the final result was pretty close to what I had in mind and so yes, I am very pleased. What you don’t see too clearly from the picture is that a section of my hair in front was highlighted in copper. Judy had initially suggested a volume perm for me but sensing I was uncomfortable with the idea, she changed it to a highlight. In hindsight, I should have insisted on having lowlights done as well. It wasn’t suggested for me and I’m guessing it was because I’d told Judy that I color my own hair. Mental note to self: stop humming and hawing so much in future! So would I recommend Backstage Hair Salon? I think if you’re looking for a change in your hairstyle, this place might work for you. Personally, I would go back again but perhaps I might have Raye do my hair next round. I certainly like the idea of walking out of a hair salon looking different and Backstage is able to achieve that for me without making me look wayang. In addition, I like how Judy and Raye freely dispensed tips on how to maintain our new fuss-free hairdo because this is not something I hear from those hairstylists I’ve visited. Well, not even my ex-hairstylist too! Backstage is located at 3 Killiney Road, Winsland House 1, Singapore 239519. 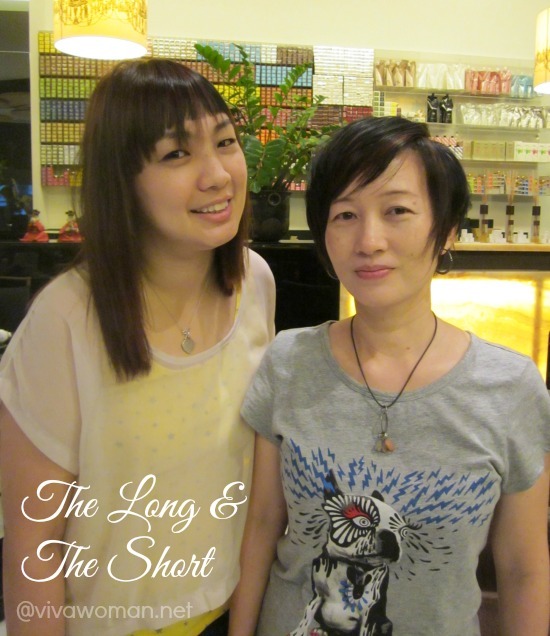 Prices start from S$45 for a haircut by a Stylist, $55 by a Senior Stylist and S$75 by a Creative Stylist. Judy’s charges are S$125 for a haircut. 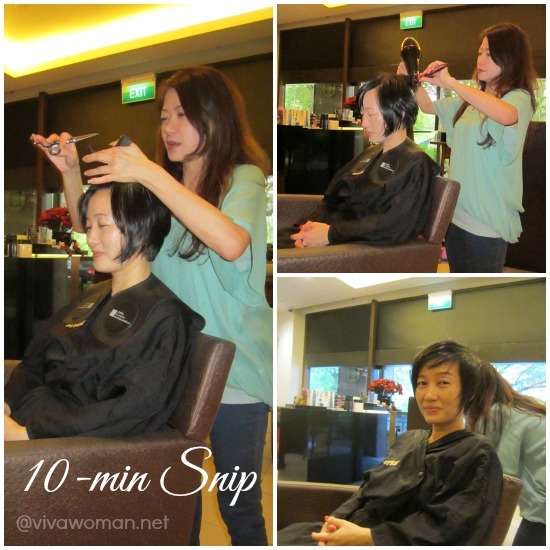 The good news is that from now till 31 Jan 2014, all Viva Woman readers can enjoy a 20% discount off all services (excluding products and Director’s services). To enjoy the discount, just â€œlikeâ€ the Backstage Facebook Page and quote “Vivawoman” to the receptionist prior to the start of the session. Call 6733 6696 or 6733 7796 to book your appointment. Looks good and suits you! Definitely much fresher looking. Alamak, I just had my hair cut 2 weeks ago, otherwise I’d try Backstage as well. I can really tell its cozy and relaxing and spacious!